Just as humans have to eat, so too plants need to be fed. This is why we fertilise and need to understand the different types of fertilisers available. Plants, like people, have certain basic needs to grow and thrive. Oxygen, water, carbon, hydrogen and sunlight are needed in large quantities and this they get from the air around them, the water we provide and from a healthy, friable, composted and well-aerated soil. Other elements are needed in smaller quantities and sometimes, if the soil is poor or depleted, the pH levels are out or if a plant has certain specific requirements, we need to give nature a helping hand and fertilise. Elements needed by plants can be divided into macro-nutrients, because they are needed in larger quantities, and micro-nutrients or trace elements, which are needed in smaller quantities, but are still vital to the health and vitality of all plants. The 3 most important macro-nutrients are the source of the numbers we see on fertilizer packaging (example pictured below), namely Nitrogen (N), Phosphorus (P) and Potassium (K), in that order. Other vital macro-nutrients needed in smaller quantities, are Magnesium (Mg), Calcium (Ca) and Sulphur (S). The following trace elements are considered to be the most important for plant health: Boron (B), Copper (Cu), Iron (Fe), Manganese (Mn), Molybdenum (Mo) and Zinc (Zn). The best way to replenish a shortage of these trace elements is by applying a specially formulated liquid fertilizer or foliar feed to your plants and crops. HOW DO WE KNOW WHAT OUR PLANTS NEED? Nitrogen is vital for healthy leaf, bud and shoot formation and growth and is a component of chlorophyll, the pigment which give leaves their green colour. Leaves, mostly older leaves, turn a pale, yellowish-green colour or their veins become yellow with light green in between. Overproduction of new, softer leaves, usually darker than normal. Excessive new growth, resulting in spindly, weak shoots. New growth is easily attacked by pests, like aphids. Phosphorus is essential for healthy, strong root formation. It also stimulates general, strong growth and flower, fruit and seed formation as it plays a vital role in cell division. Leaves, mostly older leaves, turn a distinctive blue-purple colour. Growth is slow and stunted. Healthy leaves, but a lack of fruiting and flowering. Potassium is very important in the production of chlorophyll, which is essential for photosynthesis and the synthesis of protein and carbohydrates for the plant. It strengthens cell walls and plant tissue, making it more resistant to disease and frost. It also plays a vital role in the size, taste and quality of fruits and flowers. The edges of leaves, mostly older leaves, turn yellow and eventually a scorched brown. Leaves may fold over at the tips. Inferior fruiting and flowering or none at all. Plant growth may be stunted. As said before, the numbers on fertilizer packaging indicates the ratio of the three macro-nutrients (N: P: K) present in proportion to each other. The number in brackets next to this indicates what percentage of the total bag of fertiliser consists of the 3 nutrients. 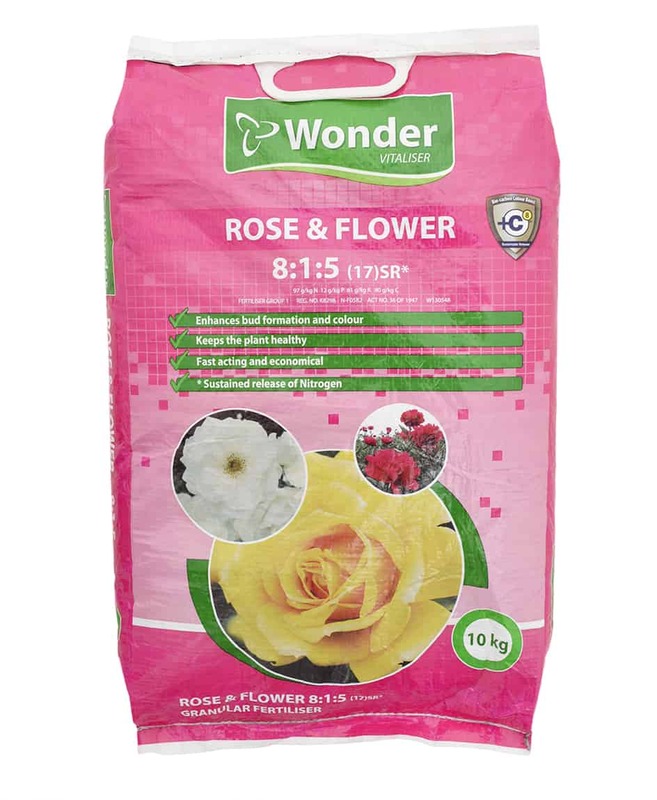 The rest of the weight is made up of filler as the pure fertiliser would be too strong to apply to plants. The filler also contains trace elements and carriers that make the elements more accessible to the plant roots. 15% (i.e.1.5kg) of the 10kg bag consists of pure NPK. This 1.5kg is made up of 14 parts (8 + 1 + 5) of which 8 parts are Nitrogen, 1 part is Phosphorus and 5 parts are Potassium. 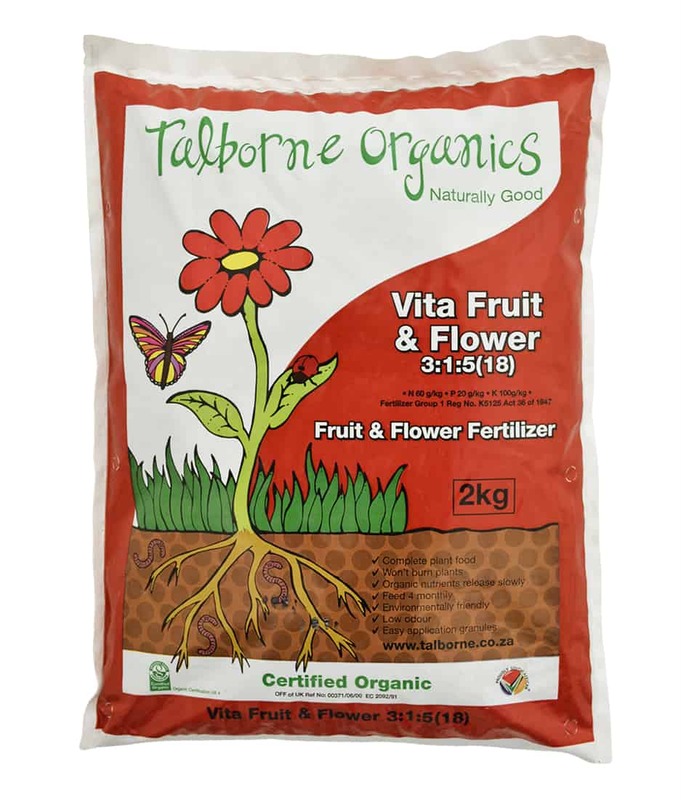 This is a Nitrogen-rich fertiliser which will be excellent for lawns and foliage plants and leafy veg, though is does contain a good measure of Potassium which will ensure strong, disease free plants.